Seashells must be stars that have fallen from the sky. 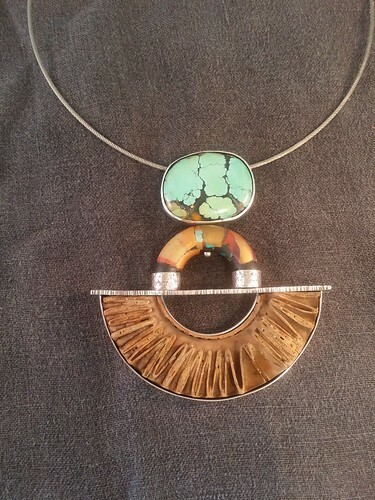 Sterling silver and found Beautiful Abalone shell. Adjustable ring. 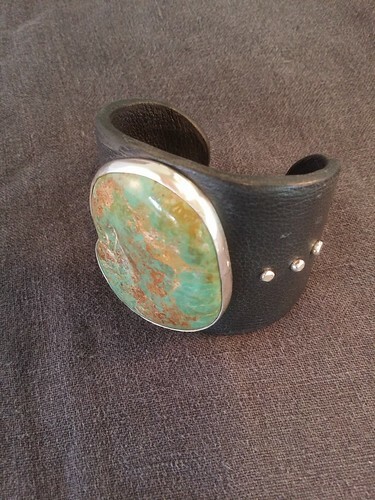 King Cobia jasper with sterling silver on adjustable leather cuff. Thunderclouds with sunlight peeking through on the horizon-pure magic. 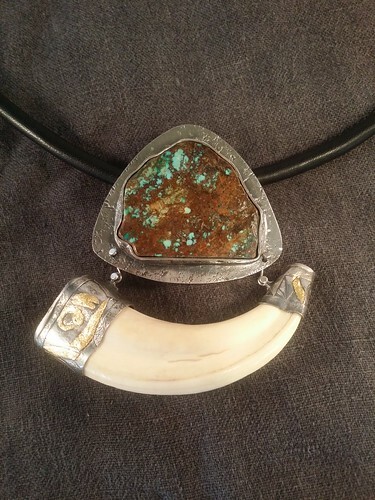 Sterling silver, gold leaf, turquoise and warthog tusk. Feels like Christmas when the tide has swept the beach and left presents everywhere for those of us with eyes to see. 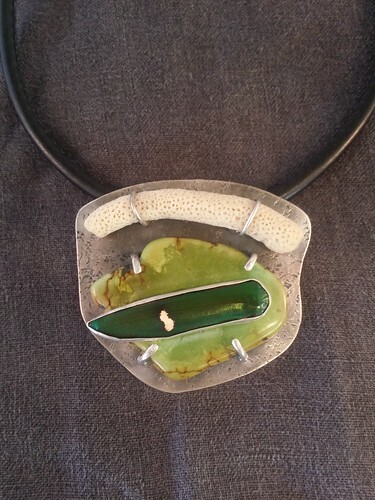 Sterling silver, turquoise, beach found object, polymer. Cut loose the lines and we'll sail away. 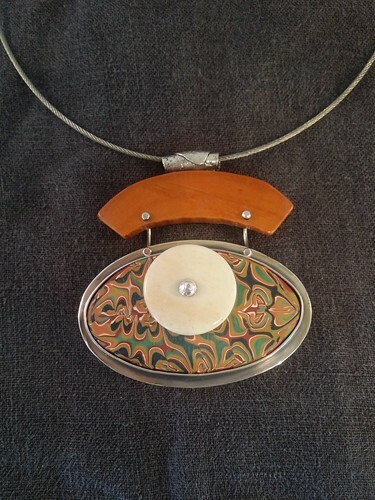 Sterling silver, polymer, fossil mammoth ivory and bone disc. All troubles to be banished from the wearer's mind. 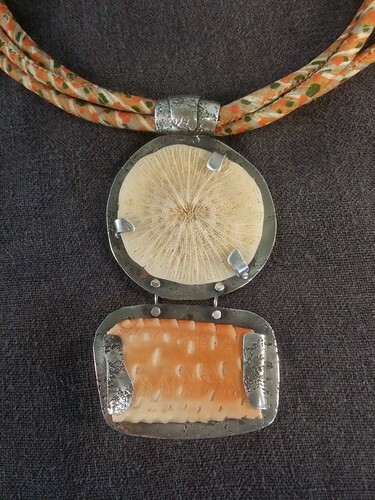 Sterling silver, found coral, coconut crab shell, and Japanese obi cord. Any and everything can be done with bamboo. 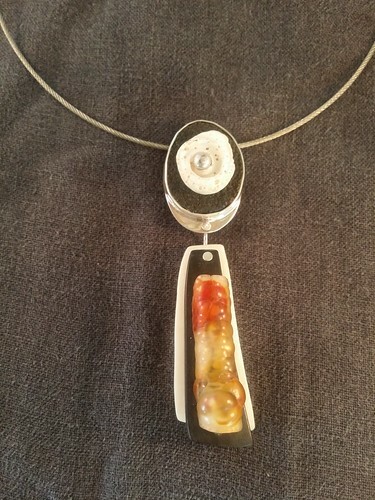 Sterling silver, fossilized bamboo grass, found shell shard, ebony and bone. I'm calling you. 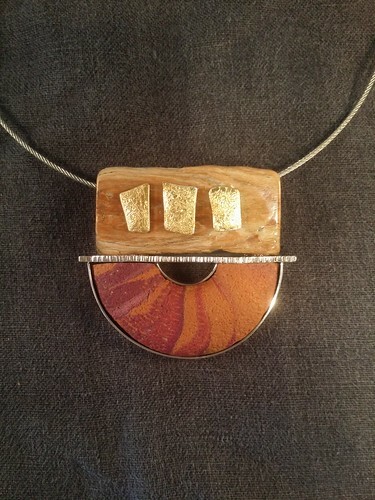 Sterling silver, polymer, gold leaf on a beautiful piece of fossilized mammoth ivory and sewn leather. Powerful crocodile eyes swaying forth and coming your way. 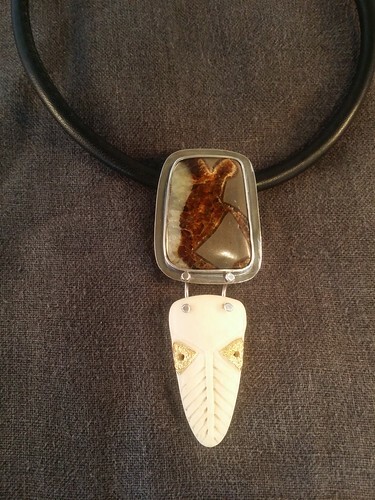 Sterling silver, hand carved bone, septaurian dragon stone. Let's keep the balance- sea, land and sky. 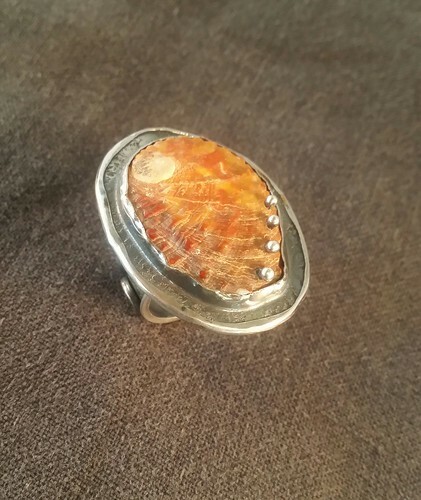 Sterling silver, Turquoise, found coral and insect wing.